Episode 101: Cloud is just "jigglin’ wires"
Calling in hot from New Braunfels Texas, we got a country mile’s worth of topics this week: we have container services from Microsoft, a lengthy discussion of how enterprise software companies organize their global sales regions, the possible emergence of a new private cloud meme, and rumors that BMC is no longer in acquiring CA. Episode 100: “I’ve seen The Hot Dog more times this week than 2FA,” or, is The Hot Dog incremental innovation, or disruptive innovation? Sniffing out a huge market in hot dog apps, Amazon might start a messaging app. Also, Google has their ant-data gravity device out and Basho seems to be shutting down. We discuss the wonders of Snap’s hot dog app, the mystery of Amazon’s lack(?) of brand allegiance, and giving up on kale. Microsoft will ship it’s private cloud stack, Azure Stack, in September. Will this work? Will people buy it? What could you even put in that cloud? You can feel that pull people have towards private cloud, so we’re looking forward to what happens. On a related topic, by our reckoning, kubernetes to small to have already fallen. Also: the elusive Baltimore accent, Oracle and containers, and recommendations. Without advertising, there would be no capitalism, and, if you’re not constantly afraid of the DoJ knocking at your door, you’re probably doing it wrong. Those are two whacky theories about advertising and antitrust, at least. With Matt Ray on vacation, Brandon and Coté talk about The Attention Merchants and the recent Google EU antitrust ruling. We also discuss several other books, and how to talk to non-tech people at parties. Surprisingly, no container talk! Looks like we’ll be getting cheaper organic food what with Amazon buying Whole Foods. What exactly is the strategy at play here, though? Other than the obvious thing of doing online groceries, how is Amazon advantaged here such that others (like Wal-mart), can’t simply do this themselves. We go over these questions and how they related to M&A in general. Plus recommendations and some podcast meta talk. This episode is sponsored by Casper, who’s looking for some good senior SREs. 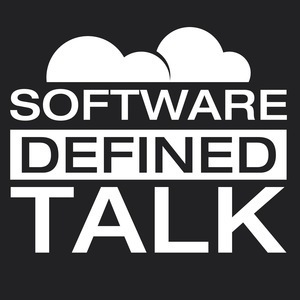 If you’re into building out and managing infrastructure that keeps code running and makes sure you can sleep soundly at night, check out the job listing, apply, and be sure to mention that you heard about it on Software Defined Talk. According to Glassdoor reviews, it’s a damn fine place to work. You can also just email jobs@casper.com and browse all their openings at casper.com/jobs. The cat-nip of Mary Meeker's Internet Trends report is out this week so we discuss the highlights which leads to a sudden discussion of what an Amazon private cloud product would look like. Then, with a raft of new container related news we sort out what CoreOS is doing with their Tectonic managed service, what Heptio is (the Mirantis of Kubernetes? ), and then a deep dive into the newly announced Istio which seems to be looking to create a yaml-based(!) standard for microservices configuration and policy and, then, the actual code for managing it all. Also, an extensive analysis of a hot-dog display, which is either basting itself or putting on some condiment-hair. Live-to-tape from ChefConf 2017, in Austin, we talk about what's going on in Chef land now, esp. in relation to compliance/policy and Habitat. We also discuss the Texas bathroom bill and Matt Ray's latest trip report on international travel. There's an important update on Coté's bean position as well. In a too rare spate of social commentary, we start talking about the price of hipster avocados in Australia and US health insurance. With one of our favorite analysts moving over the enterprise side, we talk about what it'd be like going through that door. We then wrap up talking about Canonical's IPO talk, related OpenStack market discussion, and then use CyberArk's acquisition of Conjur to discuss the state of privileges access management (PAM). We end, as always, with recommendations, including some CostCo discussion. Red Hat, Moby, Docker CEO, and Halo Effect’ing The First Cloud Wars. Plus, APAC business travel. Having something to sell is always key to a profitable business. We explore this life-hack of the business world in discussion Twitter and then Amazon licensing Thursday night football. There's also some brief talk of Akamai buying SOASTA, Cloudera filing to IPO, and the lost dichotomy of agent/agentless. Episode 91: Container orchestration framework names you can't pronounce, for $500. Or, everything’s coming Up kubernetes. We discuss the continual rise of Kubernetes, with Amazon as seemingly the main hold-out. This leads to a not-too-painful discussion of the stat of open source, at least how companies are using it tactically. Then we close out discussing the rumor that Oracle is considering buying Accenture and how the enterprise software plus services model seems to be panning out. While it's unknown how much time you should let your kids play Minecraft, it's equally unclear at the moment who'll win the second cloud wars. Between Google, Azure, AWS, and all the others, how companies differentiate themselves and what customers will buy on isn't sorted just yet. We discuss Google Next, Pivotal's momentum announcement, and serious theories for Okta IPO'ing.